That night, at home, the phone rang. Aidan picked it up downstairs, in the kitchen. Finn picked it up upstairs, in the hall, as quietly as he could, breathing sideways out the corner of his mouth. Aidan, said Martha, everyone on the flight was from here, going there. Everyone. The hotel line was fuzzy-quiet, far away. And, she said, the plane was bumpy, less graceful, than I thought it would be. And, she said, Aidan, when we arrived and all stepped out and down the airplane stairs and all looked around, looked up, there were no mountains. Of course not, said Aidan, those are miles away. By Calgary. I was hoping, said Martha. I thought maybe, in the distance. I know, said Aidan. But no. Finn listened until his father hung up the downstairs phone, until the gentle clatter as Aidan went back to putting away dishes, humming like he always did when he was alone. Finn quietly put down his phone and avoided the two creaky boards on the way back to his room. Before bed, he ducked his head under his bedroom window’s curtain to count boat lights out on the water. Finn had started doing this when he was three and scared because there were high winds and his father was out on-sea. Cora had come into his room to tell him to shut up because his crying was keeping her awake. She told him he should calm himself by counting boat lights on the water, that shining lights meant safe boats. So Finn counted every night, no matter if his father was out or not, or if the wind was wild or small. Shining lights mean safe boats. They were like upside-down stars. Sometimes, if she wasn’t mad at him, Cora would stick her head into Finn’s room and ask, How many? That first year, Finn would say, Twelve, the highest number he could count to. And then, two years later, Eight. And then, Three, all far away and slow. Until, six years later, when Finn would squeeze and squint his eyes to try and see one, just one faraway fishing-boat light, and Cora would say, How many? And Finn would say, One, at least one. And she would say, Really? Still one? And he’d say, Yes, I think so, still one. Tonight Finn didn’t see any. Not one. Since Cora was already in her room, had gone there as soon as they got back from the ferry and closed the door, there was no one to lie to. Zero, he said quietly to himself. Zero lights. He lay down, pulled up his quilt and, through the pillow and the bed and the floor, listened to the faraway song his father was humming. A familiar, old song. He closed his eyes and let it fill him up, let it spread out and over all his other thoughts, his own heavy heartbeat. When Finn woke again it was full night. All dark, all quiet. He listened for Cora or for his father, for humming or breathing or snoring, for something, but there wasn’t anything. He tried closing his eyes again, but the silence was too big, too full. He tried counting boat lights again, but there were none. There was nothing but the always-there wind and the always-there waves and him, just him. Miles from morning. Miles from his mother. He got out of bed, went to the hallway phone and pulled it as far as it would reach toward his room. He dialed the number off by heart, stretched the curly cord around his door and, leaning on his bed, the farthest he could get without the cord breaking, Finn listened to it ring, one, two, three times. Mrs. Callaghan always answered on the fourth ring. Even if she was right there beside it, she would wait, she would count. Good evening, Finn, she said. She had a satellite phone. It made everything sound underwater. Hi, Mrs. Callaghan. Finn was whispering; he didn’t want to wake anyone up. Mom left, he said. I know, said Mrs. Callaghan. I know, said Mrs. Callaghan. But not for good. Will you tell me the story again? OK, said Mrs. Callaghan. But don’t worry if you fall asleep. I’ll just keep going. Until it’s light. I promise. Ready? 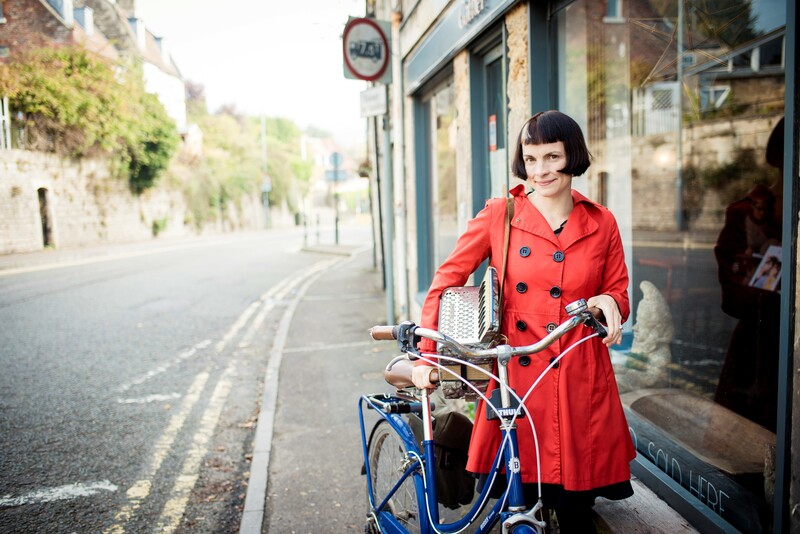 This reading group guide for Our Homesick Songs includes an introduction, discussion questions, ideas for enhancing your book club, and a Q&A with author Emma Hooper. The suggested questions are intended to help your reading group find new and interesting angles and topics for your discussion. We hope that these ideas will enrich your conversation and increase your enjoyment of the book. Meet the Connor family, one of the few households left clinging to a fading way of life on the rocky, windswept shores of Newfoundland, Canada. For generations, their idyllic village sustained itself on the traditional fishing industry, but in recent years the fish have mysteriously disappeared, and with them the locals’ livelihoods. Determined to hold on to their home, Connor parents Martha and Aidan alternate months away from home working at an energy plant in faraway Alberta and raising their children. Surrounded by the wild emptiness and abandoned homes, Finn and Cora Conner spend their days exploring empty houses and holding fast to their parents’ songs, histories, and epic love story. As Martha and Aidan’s time apart strains their relationship, and the village continues to empty, Finn and Cora decide to take matters into their own hands in separate and unforgettable ways. 1. Newfoundland and Labrador is the easternmost province of the Canadian territory, and so geographically remote that surveyors in 1949 determined much of its residents were living a life not far off from that which they would have been living a century earlier. Have you ever heard of Newfoundland, or spent any time in remote locations such as Little Running (described in Our Homesick Songs)? How do you think placing characters in an isolated area shaped the story? 2. Finn and Cora are homeschooled, but take much of their curiosity into their own hands. How did being homeschooled affect their personalities? Would they have been as committed to their home and family if they had more of a structured educational system or were surrounded by other students? Do you know anyone who was homeschooled? 3. Cora creates fantastical learning environments for Finn in the abandoned houses. Did you have a favorite country or house as a child? Discuss how Finn and Cora entertained themselves and each other using the resources at their disposal. How did Martha and Aidan impact their children’s education? 4. 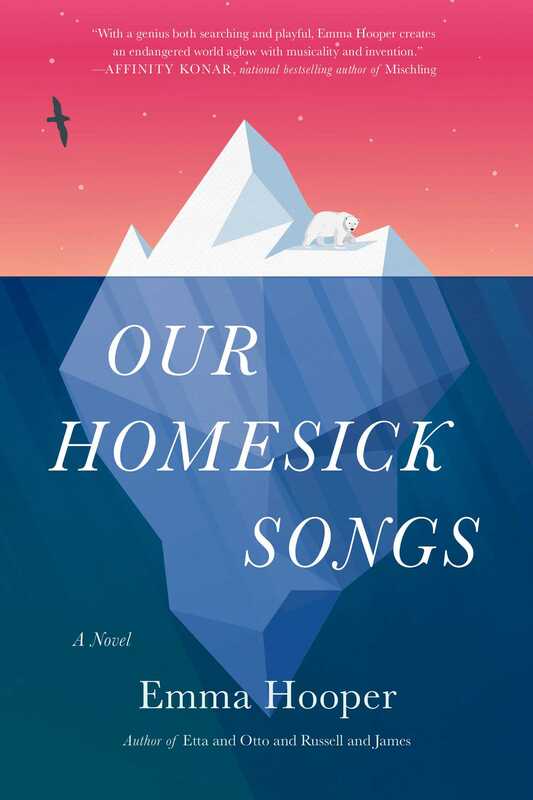 Music weaves throughout Our Homesick Songs—the children play instruments, Aidan’s singing calls Martha to him as young lovers, and Finn especially understands how the rhythms of their folk music is as necessary and natural to the landscape as the rising tides. How does listening to and creating music have meaning for the members of the Connor family? 5. Why does Finn believe music will call the fish back to their coast? Do you believe it worked? 6. Emma Hooper’s debut novel, Etta and Otto and Russell and James, also follows the power of love and familial bonds across space and time. In it, octogenarian Etta sets out one day from the home she’s shared with husband, Otto, in rural Saskatchewan, walking toward the coast, determined to see the ocean during her lifetime. Etta’s journey and Otto’s yearning at home are interlaced with the memories of their early love, wartime, and friends. If you’ve read Etta and Otto And Russell and James, do you see comparable themes in the two novels? In what ways are they similar and what ways do they differ? 7. When Martha’s parents pass away, she and her sisters each inherit an item that leads them down a different path. What did each of these objects signify, and how important were they to the choices each sister made as they grew older? 8. How did the journey to see Meredith in St. John influence the relationship between Martha and Aidan? Discuss the stages of the trip. Were you ever worried they wouldn’t make it? 9. Why do so many characters repeat the phrase, “All Connors are cheats”? Do you think those who voice it believe what they’re saying? Why or why not? How does the saying affect Aidan? 10. Why did Mrs. Callaghan tell Finn the story of St. Patrick and the snakes? How did her storytelling impact the Connor family, and what subsequently happens in Little Running? 11. How did Martha and Aidan fare when they were working and living far from each other, their children, and their home? Where did they look for comfort, and do you think it was healthy or necessary? Have you ever been separated from your home and loved ones in a similar way? How did you cope? 12. Why do you think Cora left home? Consider all the people she encounters after doing so, including the “real” Don, who tells her “We’re orphans, us . . . We gotta stick together” (page 236). Does her purpose change after being away from home and meeting new people? In what ways does Cora grow, or remain the same, during her time away from home? 13. Consider what Mrs. Callaghan means when she says, “. . . the only, the best, way for [the sailors and explorers] to remember home was through singing, through the songs and tunes they knew from home. When they were homesick, when they needed to remember where they were from, they could sing to see, to remember” (page 281). In what ways do the characters in Our Homesick Songs sing, or use other senses, to feel close to memories? Can you relate to this phenomenon? What helps you remember what you love? 1. Music plays a large role in the lives of the Connor family, especially the traditional folk sounds of their home in Newfoundland. The folk music heritage of the Newfoundland and Labrador province is based on the Irish, English, and Cornish traditions brought to its shores by settlers centuries ago. Many of the songs are influenced by its Celtic origins and the area’s strong seafaring tradition. Listen to traditional and modern Newfoundland music from artists such as Great Big Sea, Tickle Harbour, or Shanneyganock. 2. Pick your favorite destination Cora builds for Finn inspired by travel guides, or pick a city you’ve never been to and create your own travel spot. Look up traditional recipes, pin up pictures of landmarks, and use a translation dictionary to learn how to introduce yourself in the local language. 3. Newfoundland became the center of attention when, in the aftermath of the September 11 attacks, all commercial airlines were forced to immediately ground their planes. As a result, thirty-eight passenger planes landed at the seldom-used airport in the small town of Gander, Newfoundland and Labrador. The unexpected seven thousand stranded passengers instantly doubled the town’s population, and Gander’s residents shocked the world with their hospitality and kindness as they housed, fed, clothed, and comforted the travelers for six days. The story of this small community’s resilience and generosity inspired a Tony Award–winning musical “Come From Away.” Read more about the show at comefromaway.com and watch the cast perform at the Tony’s here: https://www.billboard.com/video/2017-tony-awards-the-cast-of-come-from-away-performs-welcome-to-the-rock-7825787. Our Homesick Songs is set on the edge of the world, in a remote and quiet community. How were you inspired to set the story in Big Running? Have you spent any time in Newfoundland? Yes, I have. My first trip was to Fogo Island, which is a small island off the bigger island of Newfoundland itself, just like the setting of the book. I went to visit a friend and to finish up a draft of the novel I was working on then, Etta and Otto and Russell and James. A year later I still couldn’t get the unique, beautiful, lonely, breathtaking place out of my head. My writing process always begins with setting, with a place. Etta and Otto began with the idea of the long, dry openness of Saskatchewan, and it was clear to me that my next book project, A Long Sound A Low Sound, would be inspired by the distinct, windy, foggy, bouldered, and berried setting of Fogo Island. I went back again a year later for a longer time, to undertake research, gathering all sorts of stories and songs from my wanderings around the landscape and from my newfound friends and neighbors there (including joining the Fogo Island Accordion Group for a couple festival gigs in my “other” capacity as musician). You grew up in Alberta, on the other side of the country from where Our Homesick Songs begins, but also where Martha and Aidan journey for work. How did the geography of Canada shape your story? Do you know people who came to Alberta to find work? Is there one character in the novel who you identify with the most? Why or why not? How was your experience writing Our Homesick Songs different from writing your first novel, Etta and Otto and Russell and James? Longer! For two big reasons. First, with EORJ I was writing about places I already knew well; I didn’t need to take nearly as much time for research as I did with OHS, which involved multiple trips to Newfoundland outports, interviews about net-making, books on codfish, etc. Second, my first son was born in between drafts of this book, so, for a few months there, writing (and sleep) time dwindled significantly. Where did your inspiration for Cora’s crafty travel destinations come from? Do you like to travel? Are there any destinations that you wish Cora could have built for Finn? I think Cora would have liked to build “NORTHERN ALBERTA!” for Finn, after her experiences there. Talking openly with siblings, especially at that age, can be difficult; these “travel” houses are one way that Cora has found to comfortably share with her brother. Myself, I LOVE travel. If I haven’t been anywhere in about a month I start to feel very itchy-footed . . . It doesn’t have to be hugely far away or exotic, but I do definitely crave the newness of travel an awful lot. I think that, for me at least, the way it makes you pay attention to detail (buildings, smells, flowers, different kinds of grocery stores) stops you from slipping into the sort of automatic living that scares me. It makes my life (seem) longer! At one point in the novel, young Aidan thinks, “Time on land is different than time on-water.” How does Aidan’s experience at sea, both his livelihood and the early near-death storm, determine the kind of man he becomes? Being at sea is a certain kind of being “in between.” Though “at work” with others in sight (or their boats at least), it affords Aidan long stretches of time alone and away. I think this both scares him a little (so he sings to comfort himself and keep himself company) and calms him. It’s where Aidan can go to find himself, like Sophie and her running. In addition to being an accomplished writer, you are a musician, singer, and songwriter. How does being an artist in many fields influence your creative process? It means I have more excuses to take breaks! As in, if I’m sick of writing I can take a break and practice some music without the guilt I’d feel if I just stopped to, say, eat some cereal. My musical background, I think, also makes me overly sensitive to things like rhythm and white space in my writing. I can spend a long, long time staring at a sentence that’s perfectly grammatically correct, but doesn’t sound quite right. It certainly explains all the repetition, all the repetition. Can you tell us a little about the kind of music in the novel? Were you drawn to the folk music of Newfoundland? Why did you have Finn and Cora play the accordion and violin? Instead of asking why Finn and Cora play music, you might as well ask why they brush their teeth, or eat breakfast . . . I wanted to portray this culture in which music making is as natural as conversation, just a basic part of life for everyone. As for the music itself, originally, I wanted the book to feature “authentic” Newfoundland folk music. But then, while researching, I found that there really didn’t seem to be such thing as a pure “Canadian” folk song, as pretty much every tune I studied took me back, eventually, to somewhere else: Ireland, Scotland, Germany, etc. (Unfortunately, and not without controversy, little to nothing remains in our national canon of any aboriginal music.) Music, I realized, and musical identity, isn’t a static thing, isn’t solid, but is, like us, a hodgepodge of what, and where, came before. There’s a point in my book where one character tells another, “All songs are homesick songs,” spelling out, in essence, this lesson I came to learn about sound, music, history, and heritage. Canada may only be 150 years old, but our heritage is much, much older than that. It has been sung and shared across oceans and generations over and over and over again. I am Canadian, but really that means I am Irish. I am Scottish. I am German and Aboriginal and Romanian. My self, my music, pulls out and back forever, to other, older times and paces. All my songs are homesick songs. All everyone’s songs are. The fish disappear, Cora has Giancarlo and Giannina, Martha and Finn see the floating polar bear. What role did you mean animals to play in Our Homesick Songs? Looking back, I realize that animals function as signalers a lot in this story, whether quite literally, like Cora’s dogs listening for and signaling the presence of bears, of danger, or more metaphorically, like the loss of fish signaling the loss of a way of life, or the polar bear as a suggestion of a larger ecologically problem. We see the characters in Our Homesick Songs through many stages of their lives: from Martha as a sister, orphan, wife, and mother, to Aidan as a fisherman and father, and the children growing older—Cora “becoming” Don, and more. What was important about capturing these various identities in the Connor family, and how did they evolve? Did you grow up with a storytelling tradition? Are there any traditions present in the novel which take inspiration from your own childhood? Well, as a child just starting lessons, I did have a cardboard violin with strings drawn on it before given the chance to graduate to a real one! The tradition of shared and community music was definitely something I grew up with (and am grateful for). I think the tradition of family-lore storytelling is something we almost all have experience with, though maybe not something we think of in those terms very often. We humans are natural and really good storytellers. The stories your parents tell you about when you were a baby, or when they met, or the story of your grandparents lives as you understand them . . . they all contain little bits of fiction, of rounding off of rough edges and blurring of details over time as little by little they turn from lived experience into narrative, into better stories. Are you working on anything new you can share with readers? I am! I just gave birth to a second son, so there’s that. And also, I’ve recently started on a novel not set in Canada (!) that features things like fight scenes and lots of running around. It’s all pretty scary and exciting. “The pages do turn quickly in this book...in Etta and Otto and Russell and James — a first novel by Emma Hooper — you're very interested in the characters. And you want to find out more about them. So as you turn the pages, you delve deeper into their hopes and where they are at the moment in their life. So it's a much different page-turner in a sense, but this is a lovely, lovely book.”—Nancy Pearl, NPR's "Morning Edition"